For indoor or outdoor applications that require a sloped top and corrosion protection from chemicals and water. CONCEPT™ Enclosures feature streamlined styling with an attractive stroked finish and flush, stainless steel quarter-turn latches for secure closure. 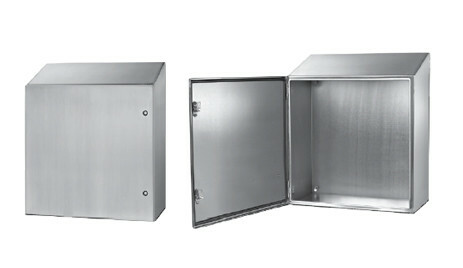 Download the Concept Sloped Top Wall-Mount Enclosures, Type 4X spec sheet below or call 714.835.6211 for more information.